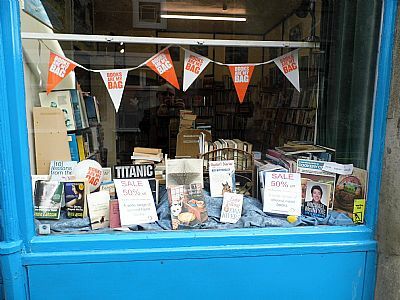 Orb's Bookshop is a community-run resource for all book lovers, with special emphasis on the history and geography of the North-east of Scotland. Our wide selection includes many titles featuring the area and its people. Are you researching your family history? Have you come to fish the Deveron, the Bogie, or the Isla? Our local volunteer staff are happy to help you find the books you're looking for. For the Doric enthusiast, our language is well represented in the writings of local authors in poetry and prose. Many visitors value Huntly as the birthplace of George MacDonald, one of the Victorian era's most celebrated writers and a founding father of fantasy fiction. A contemporary and friend of John Ruskin and Lewis Carroll, MacDonald established a genre which has inspired authors up to the present day. We strive to maintain a stock of his titles in both recent and early editions. 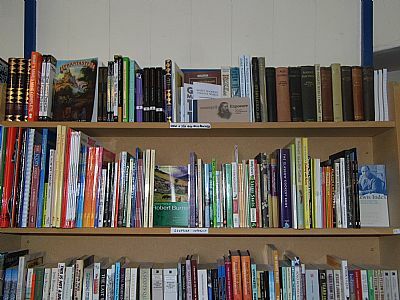 In addition to collectible and curious older works, Orb's Bookshop offers a broad range of general and genre fiction, both new and secondhand, and a good selection of natural history, field guides and Ordnance Survey maps. Children's books, travel, classics, cookery and gardening are some of the subject areas you'll find if you come in and browse for awhile. 1 Sept, Huntly Hairst in the Square. See News Page. 19 Sept, Mongolia comes to the OAP Hall in Church St. See News Page. August Swap Shop! Please see NEWS for details. Oswald and Friends Update on News Page. 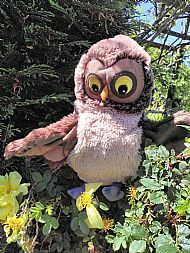 For shops who took part in his treasure hunt, Oswald's having a tea and coffee party in the bookshop on Friday 10 August (please see NEWS). For Kids this summer! Treasure Trail, Story Sacks. See NEWS! 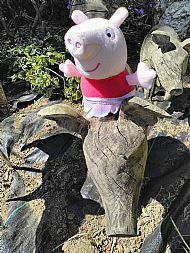 Peppa and Quirky! Please go to News for more. Award-winning children's author Lari Don will be visiting the Brander Library, The Square, Huntly on Saturday, 27 January to give a children's writing workshop. To mark the occasion and to make sure you all get a chance to have a great read, we'll have a range of her books in stock. 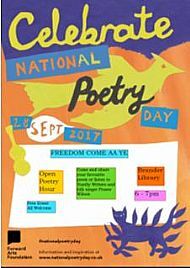 National Poetry Day in Huntly 28 September 2017! Oh my goodness! Harry Potter! 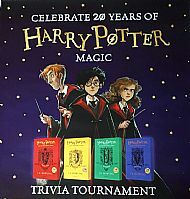 The famous schoolboy returns in the Harry Potter Tournament. Please see NEWS for a link to the Competition Info & Rules. New and Unmissable: Margaret Grant Collected Poems (see News). WALLY! Remember him? Easter holidays starting! Here is some fun for young & old. 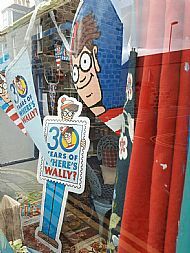 A Wally Watchers trail is up and running for the next two weeks. Ten businesses in Huntly will have an item on the theme in their premises. Collect a free entry form from Orb's.Top tip - one item is hidden in Orb's! Find the others in premises in Gordon Street, The Square and down Duke Street. (Sneaky clue: don't forget the Library.) A nice wee prize for the first correct entry drawn on 15th April. Good luck and good hunting! See also NEWS. On Saturday 3 December, we celebrated Deveron Arts's 21st birthday with a special edition of the Huntly Farmers' Market in The Square, Huntly. Have a look at 'NEWS'. ... taken on the occasion of the Hallowe'en (oh, OK, 22 Oct) launch of their new anthology Open With Care. The venue was the Ex-Servicemen's Club in Gordon Street, Huntly. Open With Care is a collection of weird tales. Huntly Writers gave readings from the anthology. Our bookshop would not exist without the Writers to keep it going (and the book is currently on sale there, price £7.99). News ... Have a look at the NEWS section to find out what's been going on. Storytelling: don't miss this, a lovely selection of children's stories beginning April 5th. See News! This was great: The Unknown Unknown: the first 18 months of Orb's Community Bookshop, a talk by Maureen Ross on Wed 16 March at Christchurch, Huntly. We enjoyed a Civilised Saturday on 28 November. A great day -- lots of coffee and biscuits shifted, lovely people dropping in. News! We have a link to the original manuscript of Alice's Adventures Underground, prepared by Lewis Carroll as a present for his young friend, Alice Liddell: courtesy of the British Library, which holds it. See 'Links'.